When it comes to eating I'm always open to trying new food and visiting new restaurants but truth be told, more often then not I'm a stickler for routine and I definitely have some long standing favourites I prefer to visit over and over again. 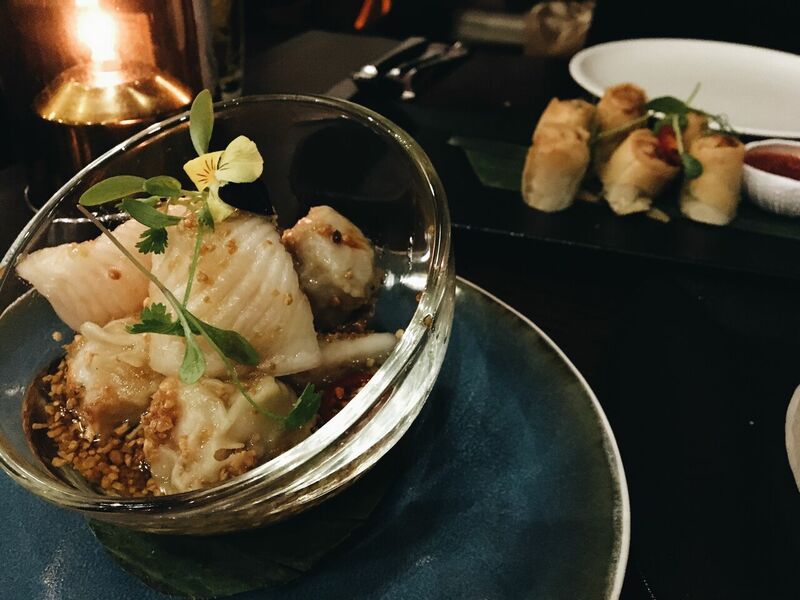 Thai food is one of my favourite cuisines and for me the best place to find it within Manchester is without a doubt Chaophraya. 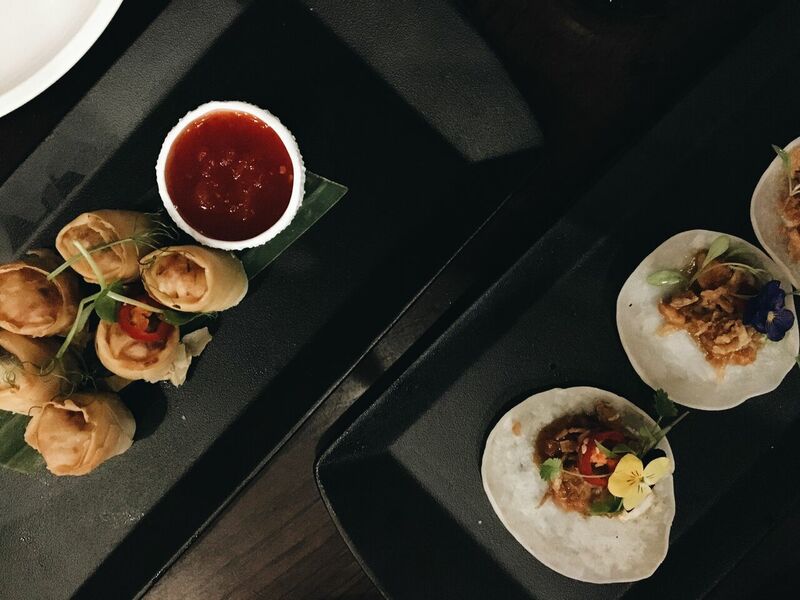 It's a no brainer and so when the lovely people at Chaophraya invited me down to sample the new menu, I was over the moon and RSVPed quicker then you can say "Pad Thai please". Located in the centre of town, just off Market Street on Chapel Walk, the building itself is beautiful! 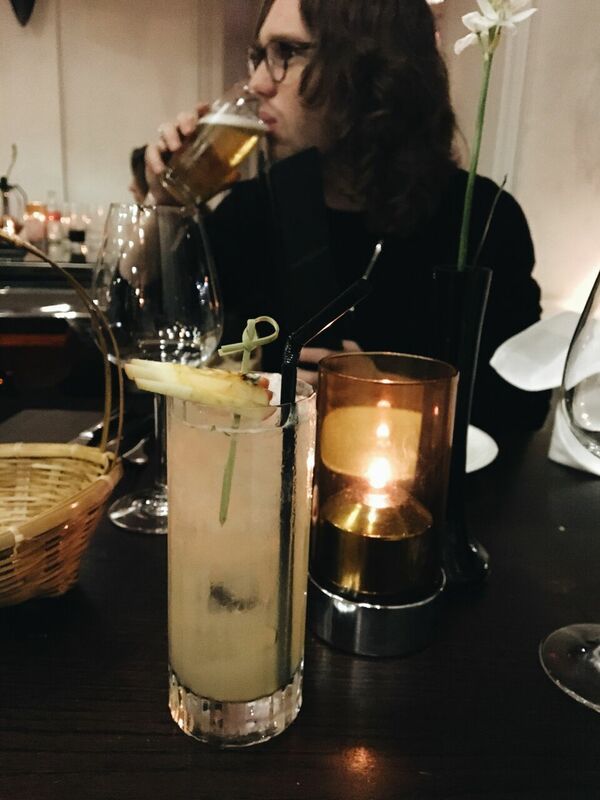 It's pretty huge place but with each area of the restaurant split into separate rooms, there's a cosy intimate kind of feel going on. The decor is rich with warm, vibrant colours and the attention to detail is very apparent. From an outsiders perspective, yes it looks a little fancy but the staff couldn't be more welcoming, you can't possibly feel intimidated and the prices are so responsible once you've sampled a few of their plates, you'll be tempted to order one of everything on the menu! Point proven by the fact I headed down with Joe who hates anything fancy pants and he couldn't of loved it more. The new menu was an absolute treat and completely diverse! Ok so you still have your classic dishes on there you'd expect to see on any Thai restaurant menu such as; Satay Chicken, Thai Green Curry and of course everyones favourite, Pad Thai but just as with the decor you can tell a lot of thoughts gone into their food. They've tried to think outside the box and hey, it works!! 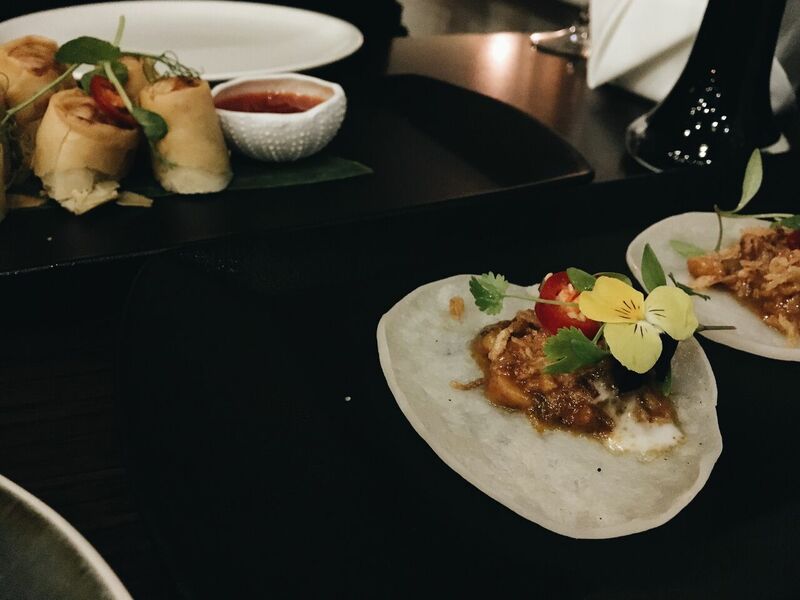 For starters we tried their new pork tacos, which sound maybe too out there, but were an absolute dream to not only taste but to look at, daintily presented on a slate board with edible Pansies (I'm not going to lie I actually gave these a miss, they were just too pretty to eat). Along with our tacos, I had one of my old favourites on their menu; steamed dumplings. 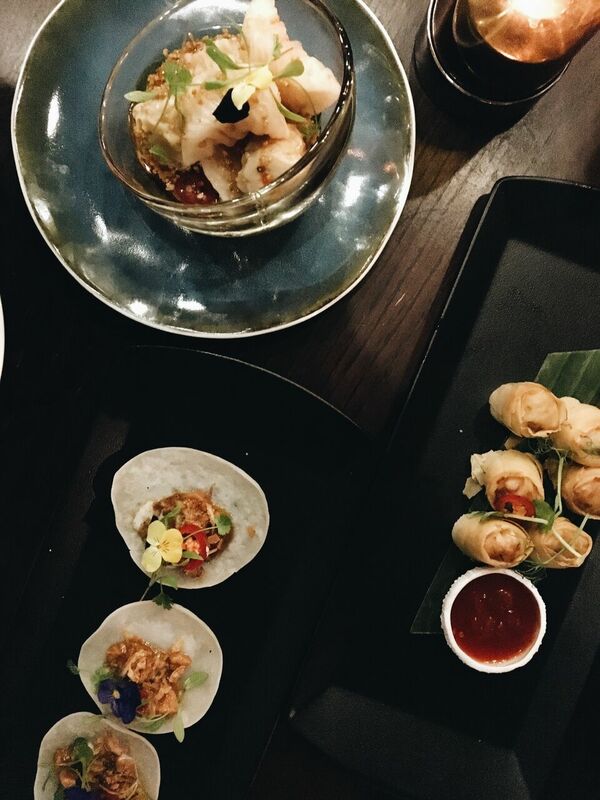 If you like classic Thai plates you won't be disappointed by these. They are done to perfection and accompanied by a delicious Teriyaki sauce, I could quite happily have on the side of every meal. 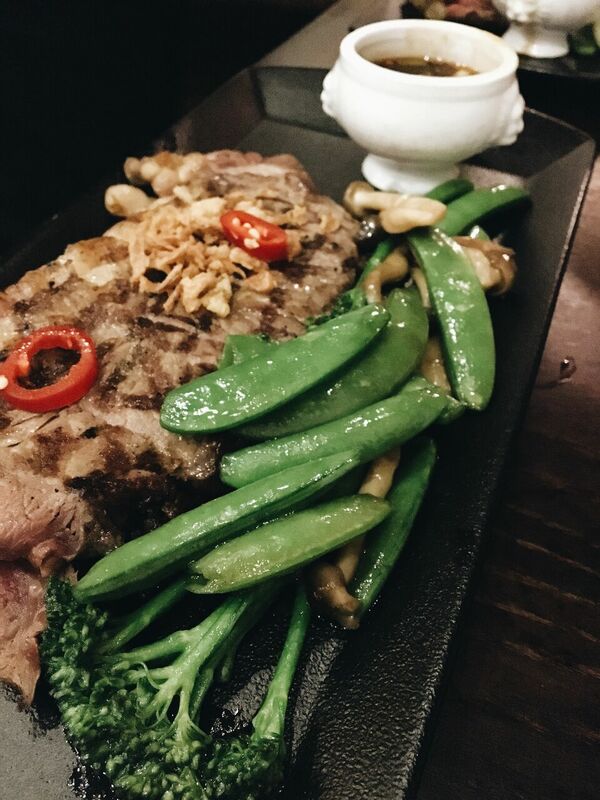 For mains we tried another newbie to the menu, sirloin steak which you cook yourself on hot rock salt! Ok so, word of warning with this one; if you like your steak rare to medium (which I do) then this dish is perfect for you. 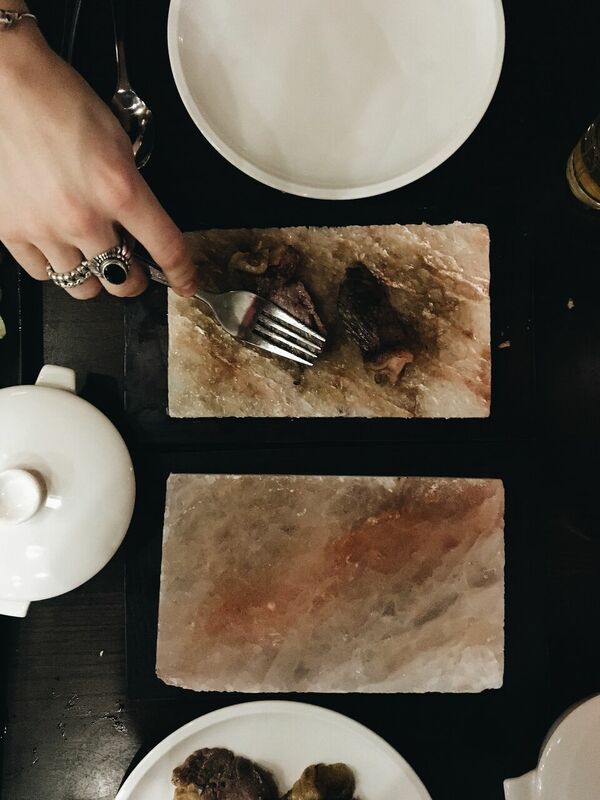 The rock salt will cook your meat perfectly and I promise you it will taste like heaven. BUT if like my boyfriend Joe, you like to cremate your meat and arguably ruin it, then this is NOT the dish for you. It takes sometime and when it's finally ready, its been lay on salt for so long, you're going to need about 3 pints of water... Punishment for sabotaging good meat, in my personal opinion (joke, joke). Finally for dessert we shared a White Chocolate Box and my only compliment would be I wish we'd ordered our own! I could have easily demolition one to myself. It consisted of a white chocolate mousse on a shortbread base accompanied with a passionfruit sorbet aaaand a macaron... I'm addicted to macarons so this was an added treat. Normally in the long standing debate of; " if you have to have a starter and a main or, a main and a dessert, which one? ", I'm more of a starter kind of girl. Don't get me wrong, I have the biggest sweet tooth but I often just find desserts to be a little sickly after a tasty meal. However this mousse was so light, you didn't feel like you'd just eaten three courses and it rounded the meal of just nicely. As mentioned before I'm a huge sucker for old habits and hearing one of my top pick restaurants had changed its menu was a tad worrying ,but I can whole heartedly say it was all for the better and my list of favourites dishes has now doubled! You can check it out in the link below or even better, go pay a visit and see for yourself! Earth, Wind And... Festival No 6?